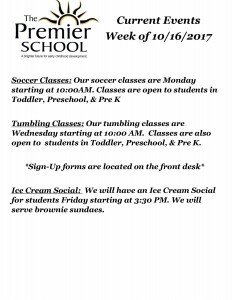 This week at The Premier School features our monthly Ice Cream Social on Friday 12/15! 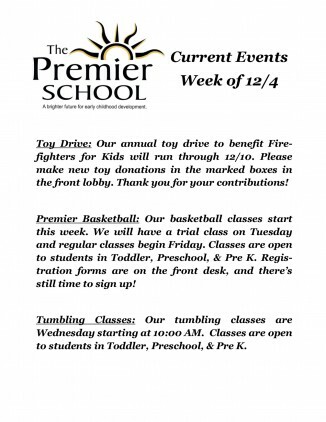 The week at The Premier School features our annual toy drive benefiting local families through Firefighters for Kids. We are also debuting our Premier Basketball program taught by former division 1 collegiate player, Kristi Hill! 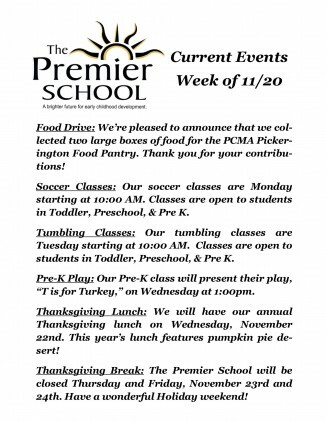 This week features a variety of Thanksgiving activities! 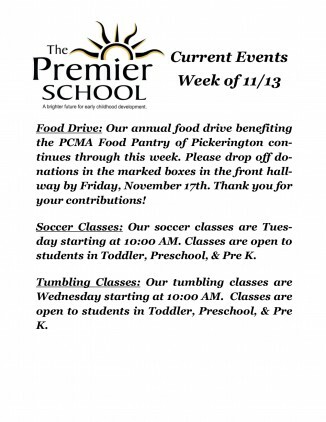 This week we will be wrapping up our Food Drive benefiting The PCMA Food Pantry of Pickerington. 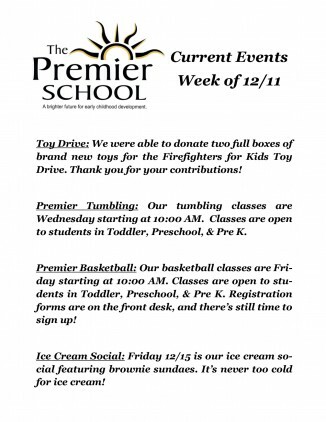 Please place all donations in the marked boxes in the main lobby by Friday, November 17th. Thank you for your contribution! 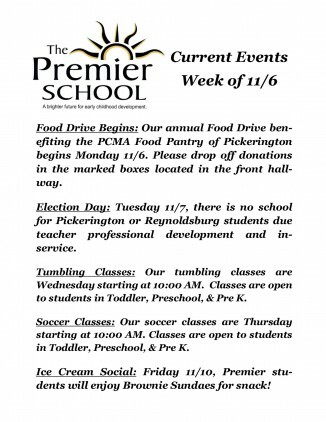 This week at The Premier School marks the beginning of our annual Food Drive benefiting the PCMA Food Pantry of Pickerington! 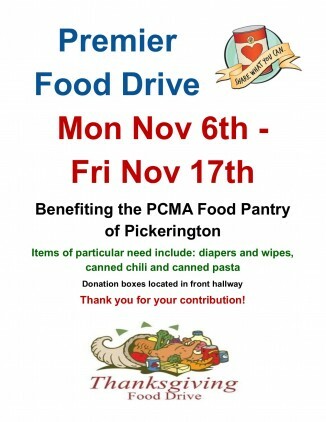 We are hosting our annual Food Drive to benefit the PCMA Food Pantry of Pickerington. You are invited to donate non-perishable foods, diapers and wipes by placing them in the marked boxes in the front hallway. The Food Drive will last through Friday, November 17th. Thank you for your contributions! 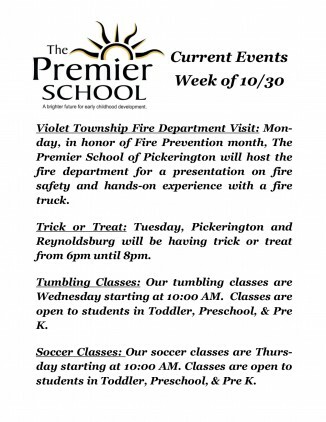 This week at The Premier School includes a visit from the Violet Township Fire Department in honor of Fire Prevention month! 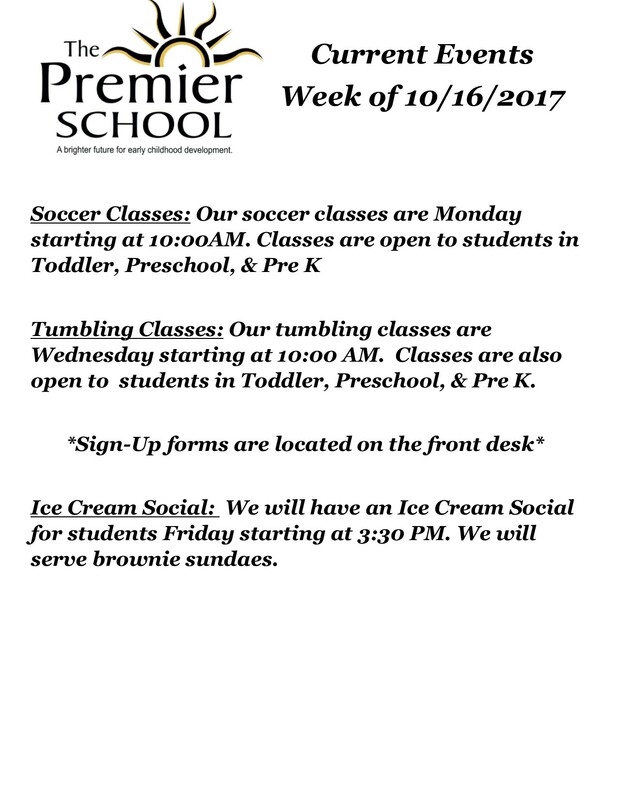 For every thousand likes that the Premier School gets on our facebook page we will have a pizza party for our students. 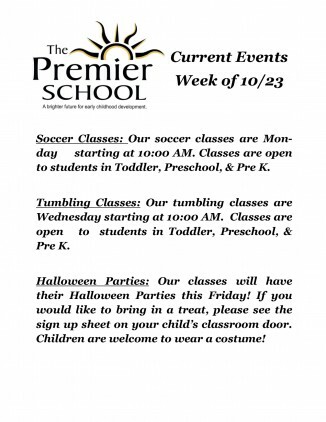 www.facebook.com/ThePremierSchool/ We’ve already had two pizza parties help us have more.